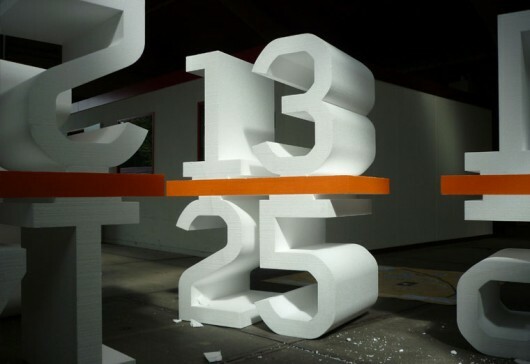 Sustainable Typography by Autobahn | Shelby White - The blog of artist, visual designer and entrepreneur Shelby White. 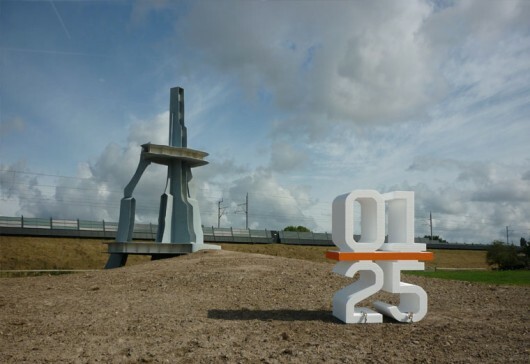 Autobahn is a Netherlands-based graphic design agency. This project that they created was for a festival of performances to be held, triggered by twenty-five works of art. To help navigate people around the works of art, Autobahn created this typographic way-finding system. 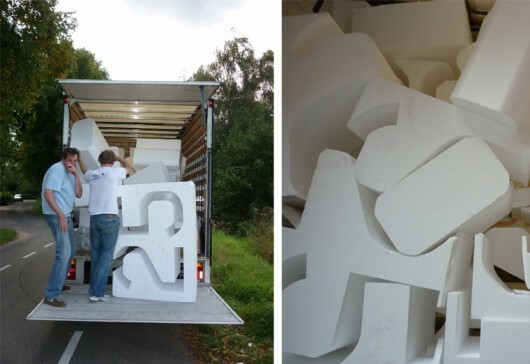 Each of these forms were laser cut from sustainable polystyrene. After the event was over, the objects were rounded up and recycled. I wouldn’t be surprised at all if the designers got their hands back on these beautiful foam pieces when the event was over. Forgive me for my naivete, but what the hell is sustainable polystyrene? They are really cool, and I don’t doubt you that the designers would want those (I’d definitely take one), but I’m not sold on the sustainable bit. To me, the only thing that’s at all green is the fact that the designers probably appropriated some of these pieces to an office or living room…. Michael–I should have explained that in the post. 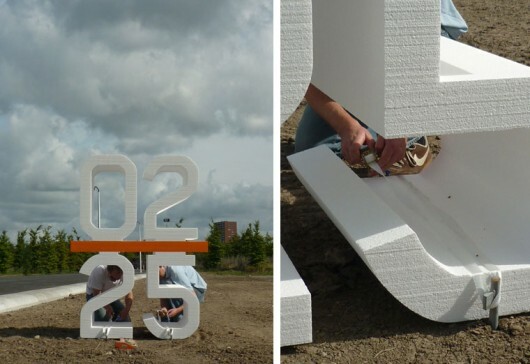 Sustainable polystyrene is a recyclable foam. Some packaging uses it to hold items in place. I’ve read that certain Polystyrene’s are biodegradable. 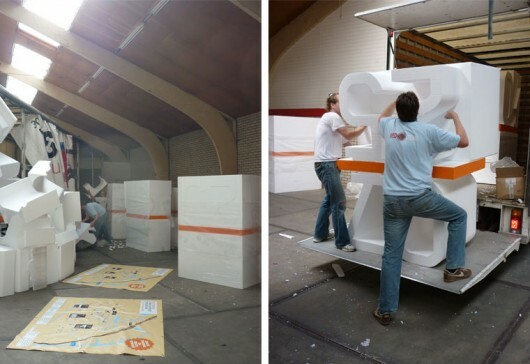 However, this site says other wise http://www.justmeans.com/How-green-is-polystyrene/11565.html. This would be the sustainable part, but I still don’t get why it would matter. They were removed anyways. You could place steel in that park and call it sustainable.